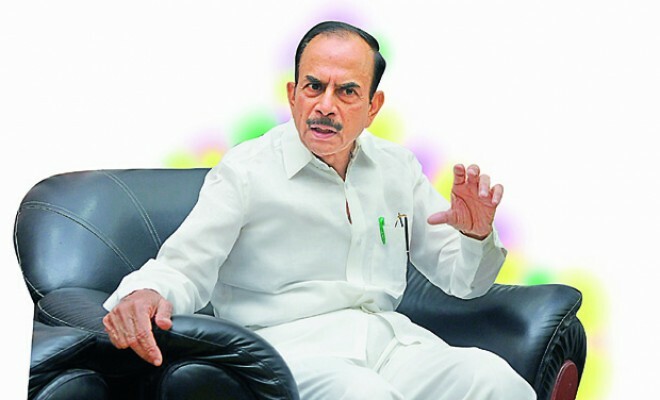 Hyderabad, Apr 08: Home minister Mohammad Mahmood Ali, at a meeting held in Suryapet on Saturday, said that the respect for Muslims in the state has grown under the rule of Telangana Rashtra Samiti chief K. Chandrasekhar Rao. "When the Centre released, Rs 4,700 crore for welfare of minorities in the budget, the Telangana state alone has allotted, 2,400 crore. When the Congress ruled the state, the budget for welfare of Muslims was only Rs 80 lakh," he said. Ali said a survey has been conducted to ascertain the condition of the minorities in the state which found that a large number of Muslim families were finding it difficult to get their daughters married before the age of 30 years. He said in view of this the TRS government introduced the Shaadi Mubharak scheme. He said the fear of Hindu-Muslim clashes and threat of Maoists have disappeared under the rule of TRS chief K. Chandrasekhar Rao. "Kashmiri people also want a leader like KCR, to sort out their crisis," added Ali.